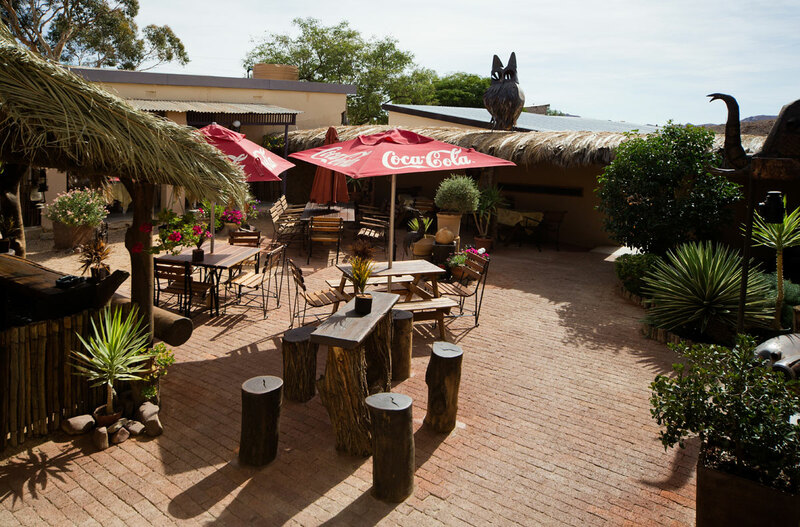 The Restaurant, the Sundeck and the Beer garden at Hotel Aus are also meeting points for a lot of travelers and self drive tourists on their way to or from Lüderitz, from visiting the “Feral Horses” nearby or exploring the amazing landscape of the “Huib Plateau Park”. 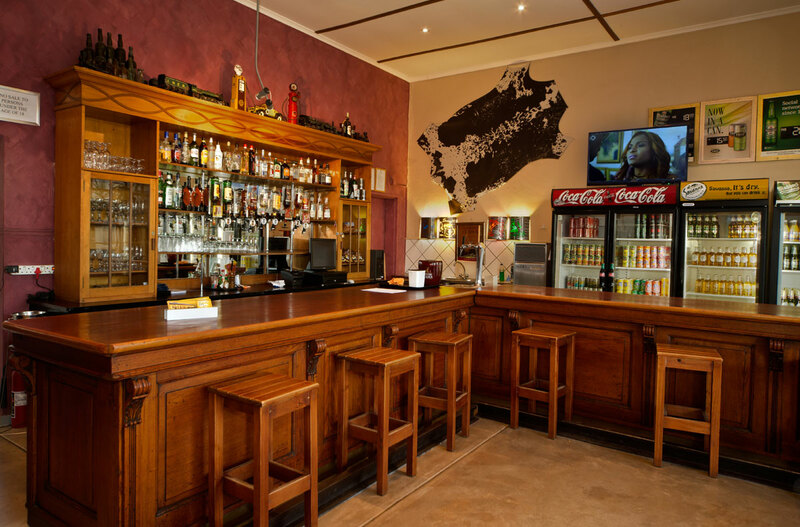 Breakfast in the Restaurant is included with Accommodation at Bahnhof Hotel Aus – Namibia. 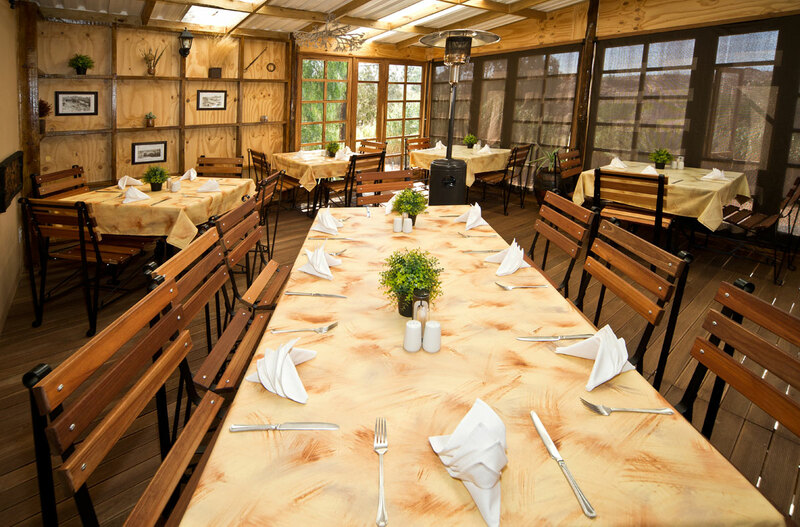 An extensive à la carte menu as well as freshly prepared light meals, a selection of excellent wines, home-baked bread and cakes, our historic bar and sundeck, a sheltered beer garden as well as a lounge with a cozy fireplace are inviting the weary traveler to a remarkable stay at Bahnhof Hotel Aus. The menu and kitchen are getting lots of appreciation from an ever growing group of pleasantly satisfied customers. 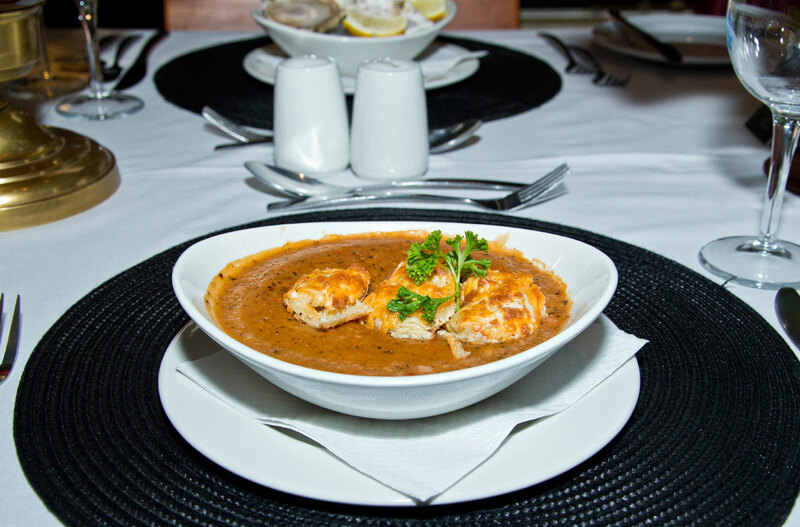 A medley of seafood in an aromatic, creamy tomato sauce served with dipping baguette bread. Served with Basmati rice and seasonal vegetables. 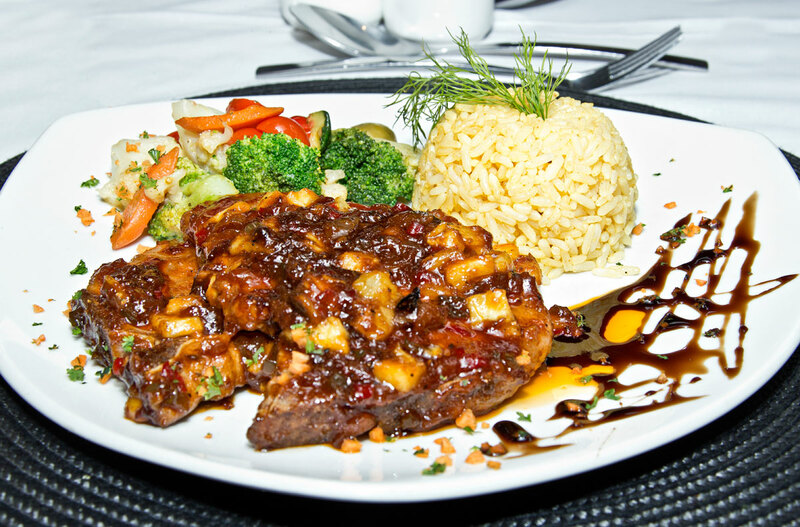 Namibian beef rib eye steak grilled to your liking with pepper sauce, chips and a mini salad. 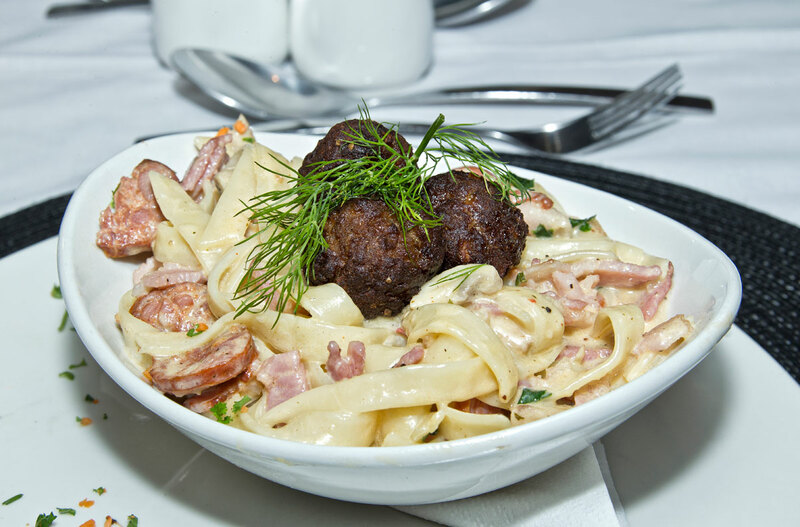 Served with house fresh bread. 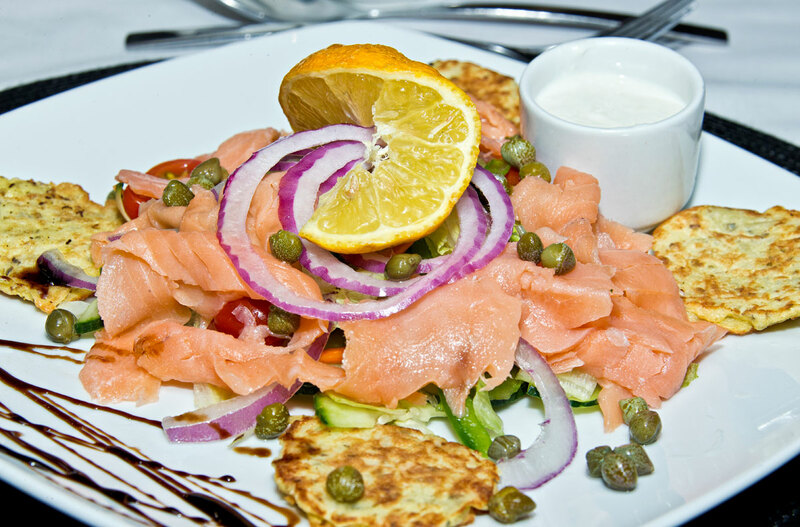 House marinated salmon cubes with lemon juice, olive oil and red onion, served on a bed of lettuce and a tzatziki dip. Button Mushrooms, panko breaded and served with tartar OR horseradish dip. Choose from our large variety of delicious home- baked cakes. Our staff members are all originating from Aus and are so dedicated to the success of the hotel, that the customers can virtually feel it, if the enthusiastic remarks about our service are any yardstick to go by. 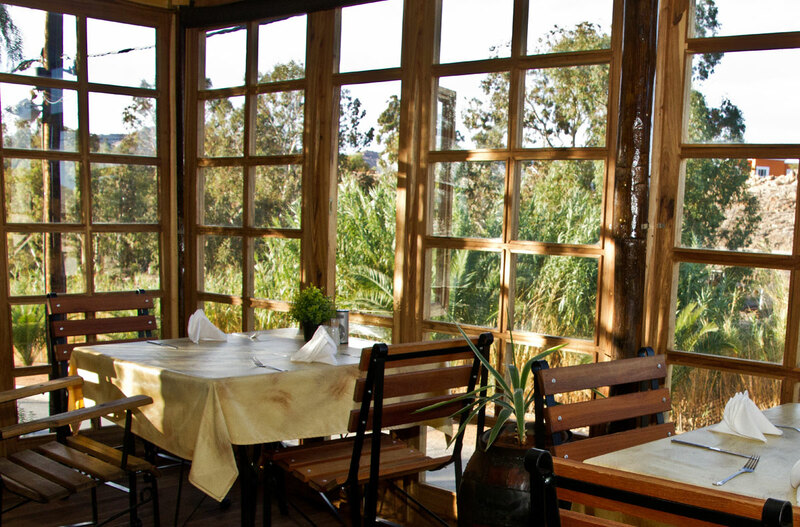 Relax sipping a nice glass of wine on our sundeck, rest from the hectic and activities of the day and enjoy the view of the surrounding landscape.